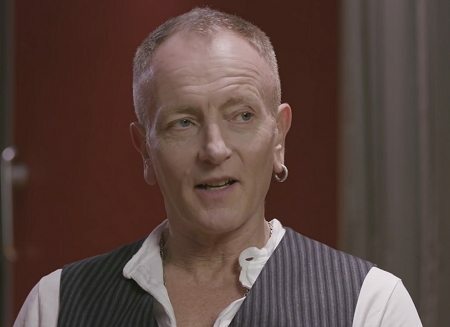 Def Leppard members Joe Elliott and Phil Collen attended at the Classic Rock Awards in Tokyo, Japan on 11th November and a new video is available. View a new 4 minute interview with various musicians including quotes from Phil on his own and both Joe and Phil on the red carpet. This second part from the red carpet was already posted. Watch all of the available footage so far on the playlist. Joe dedicated his latest radio show on Saturday to the awards and revealed some of the songs played by Phil and the house band. Including him singing 'Interstate Love Song' by Stone Temple Pilots without a guitar in hand. "I think they really appreciate music and they go right cross the board. Jazz or whatever it is. It's the only place in the world you can actually go out and play a B Side and they react on its merit. On its own merit. Not on the fact that it's a single or this is the track they're playing on the radio and I think that says a lot you know. Again they just really appreciate music. They actually get into it."